A Vietnam Syndrome for Burma? HANOI—One thousand years old this year, Hanoi's streets remain decorated with thousands of the gold-starred red flags of the resistance. Nominally a socialist republic, the country's economy has in fact adapted the post-Deng economic model of China, applied with a Vietnamese touch. Now a focus for Western investors such as Intel, Boeing, Microsoft, Apple and many more, Vietnam has seen spectacular economic growth since the Đổi Mới system was introduced, and particularly since the normalization of relations with the US in 1995. Membership of the World Trade Organization came in 2007, another boost for the latest addition to Asian Tiger ranks and adding to the growing incentives for foreign multinationals to invest. In his August 2009 meeting with Burma Prime Minister Thein Sein, US Sen. Jim Webb, who fought in the Vietnam War and has worked on America's relations with Asian countries for many years, said that the Vietnam experience was one that Burma could look to. Links between the two countries are growing. The recent Nov. 7 elections seem to have put paid to some of the optimism in US and Western policy-wonk circles about a looming, if flawed, transition to democracy in Burma, with the junta accused of ballot-stuffing by way of advance voting, intimidation and setting electoral rules that hampered the opposition parties. The Union Solidarity and Development Party (USDP) won with 76 percent of the vote, for 75 percent of available seats, and with the military guaranteed the remaining 25 percent of seats, as well as key positions in the next government, Burma will be a democracy in name only. In Vietnam, there is no pretense. With its centralized political system maintaining rigid control and brooking no dissent, the Vietnam government is betting its legitimacy on delivering economic growth and rising living standards for the country's 90 million people. In Hanoi, there are signs of this growth everywhere, from new construction sites to increasingly heavy traffic and the feeling is of an increasingly confident city and people. Like in China, Facebook is blocked, though getting around the restriction is fairly easy. However, around 20 writers, bloggers, lawyers and people from religious minorities have been arrested or jailed in the past two months, adding to a list of dissidents, some fairly high profile, that have been imprisoned in Vietnam in recent years. The government accuses most of those imprisoned of various forms of sedition, or of breaching public order, and the country's Constitution elevates the ruling Communist Party above the law. Vietnam is a country trying to minimize corruption. But in Burma, corruption is common practice. It is a major difference. "According to the August 2009 diplomatic cable drafted by the US Embassy in Rangoon and published by Wikileaks, Sen. Webb deferred to Thein Sein's view that economic development was needed before a country could democratize." THIS is precisely what our king HM King Schwebomin II has been telling. Give people a greater choice of making a living through economic development, serfdom (including being a soldier) will gradually disappear and human rights will automatically followed, albeit in mild form. It is then up to the legislature to institutionalise them. 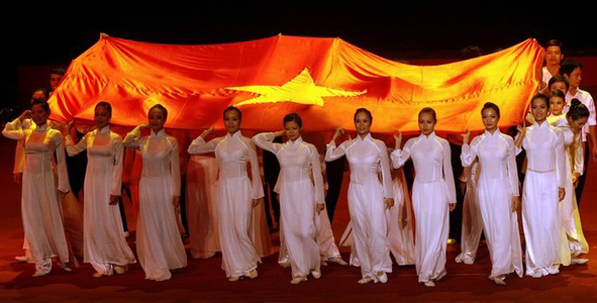 Burma needs to study closely the Chinese and Vietnamese models of economic development. The role of engineering and technology must not be forgotten, nor the role of administrative skills. Vietnam has been preaching Than Shwe how to trick the western countries by waving democracy flags like any other dictators in the globe for some time. Employing the policy-enemy of the enemy, regardless, is a friend- Jim Webb called on the US to review its sanctions immediately after his Rambo-like rescue mission (in a civil way, though) in Burma for the release of a US citizen named Yettaw, a mentally challenged man locked up by junta for his trespassing into Daw Suu’s house. Ever since then Thein Sein became the first junta leader invited to the UN and the US State Department by the US government. Later, the Obama Administration announced to review the sanctions. For the West, in a sense the Than Shwe junta is still in charge, whether election or no election/ democracy or no democracy. But, it would be better for them appreciating Than Shwe’s waving “democracy flag,” for sure. That is the “trouble” we have to live on unless we people of Burma fight ourselves for what we want. The chief obstacle to Burma's adopting a Vietnam-style road is the Burmese rulers are motivated by retaining power and enriching their families and cronies only. And the country's oil and gas income is downplayed, with the real revenue obviously dumped into military spending and personal bank accounts. In short STEALING is the name of the game in Than Shwe ruled Burma. The Nov. 7 elections have put paid to some of the optimism in US and Western policy-wonk circles about a looming, if flawed, transition to democracy in Burma given ballot-stuffing by way of advance voting, intimidation and setting electoral rules that preempted NLD and Daw Suu participation in the political process. The (USDP) won, with 76 percent of the vote, 75 percent of available seats, and with the military guaranteed the remaining 25 percent of seats, as well as key positions in the next government, Burma will be a democracy in name only. This is the TRUTH and ONLY TRUTH for ALL to NOTE.